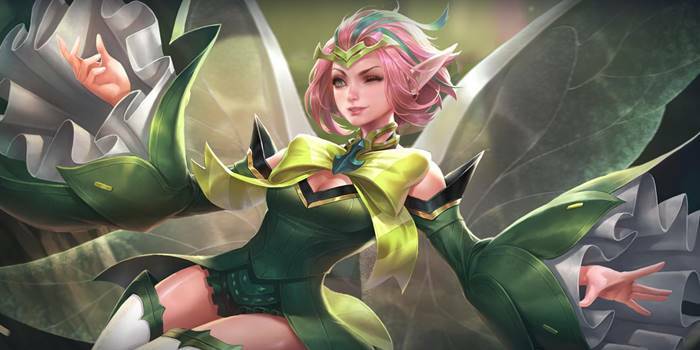 Guide for the hero Krixi, a character in Arena of Valor (AoV). Included are Krixi’s abilities, statistics, attributes, strengths, weaknesses, and more. These are Krixi’s attributes on the mobile version of Arena of Valor. Click here for her attributes on the Nintendo Switch version. When Krixi hits an enemy with an ability, she gains 25% movement speed for 2 seconds. Clone returns to Krixi no matter where she moves. Krixi summons the power of nature to knock enemies into the air and dealing 260/292/324/356/388/420 (+0.62 AP) magic damage. Nature’s Wrath’s effect occurs after a 1 second delay. Krixi can not move while Nature’s Wrath is being cast. Krixi summons a meteor shower that increases her speed by 15% and pummels nearby enemies, dealing 275 (+0.6 AP) magic damage with each hit. Each enemy can be hit up to 4 times and the meteor shower lasts for 5 seconds. Moonfall now activates even if there are no enemies in range. Moonfall cannot be interrupted after starting. Moonfall strikes once every 0.5 seconds. Moonfall strikes randomly, without priority outside of prioritizing heroes over minions. Krixi’s Mischief has an extremely long range. Use this ability combined with the movement speed bonus from her passive to harass enemies. Nature’s Wrath and Moonfall are great for aiding allies in team fights while maintaining a safe distance. Our recommended order for Krixi abilities as she levels up. See all of Krixi’s item builds.